I was recently interviewed by Dave Asprey when I visited his Bulletproof lab on Vancouver Island.1 In it, I review the real dangers of electromagnetic fields (EMFs) emitted by electronic devices. I will also do a more comprehensive lecture on this topic at Asprey’s Bulletproof Conference October 13 through 15 at the Pasadena Convention Center in Pasadena, California. Avoiding excessive EMF exposure is an important component of optimizing mitochondrial health. In fact, this is going to be the topic of my next book. Like my latest best-seller, “Fat for Fuel,” which details my metabolic mitochondrial therapy program, I want the book on EMFs to be peer-reviewed by the leading scientists and researchers in the world who understand the truth and are free of industry corruption. The key is to translate the science into clear and understandable language, and offer practical recommendations on how to remediate the problem. After all, we are swimming in an invisible ocean of EMFs just about everywhere you go these days. It’s near-impossible to avoid microwave exposure completely, but there are ways to reduced it, for sure. As noted by Asprey, his studio is hard-wired, and that’s one simple way to reduce exposure from Wi-Fi. You can also shut your Wi-Fi down whenever you’re not using it, and certainly at night when you’re sleeping. When using your cellphone, use the speaker phone and hold the phone 3 feet away from you, using a selfie stick. I’ve measured the radiation and you decrease your exposure by about 90 percent this way. When not in use, make sure your cellphone is in airplane mode and/or keep it in a Faraday bag. These are just a few quick examples of how you can protect your health while still living in modern society. I have carefully measured the radiation coming from my phone and even when it is on and not calling someone the radiation doesn’t come down to safe ranges until I am 25 feet away, which is why I keep my phone in airplane mode most of the time and only use it for emergencies or when I am traveling. It took me awhile to figure this out. I got rid of all the wireless devices and Wi-Fi in my house, yet the EMFs were still high. Then I finally realized that it was my phone (while on) that caused it. My levels dropped below 0.01 volts/meter once I put it in airplane mode. This is a key point. For nearly everyone reading this, the majority of the radiation you’re exposed to is not coming from the outside into your home; it’s coming from the items in your home. Most of the radiation we’re exposed to today is microwave radiation, which does include radiation from your microwave oven. If you still have one, I recommend replacing it with a steam convection oven, which will heat your food just as quickly but far more safely. When you turn that microwave oven on, it will expose you to very dangerous microwave radiation at levels that are far in excess of your cellphone. We’re not talking about thermal (heat) damage here. We’re talking about nonthermal damage. I recently interviewed Martin Pall, Ph.D., who has identified and published several papers describing the molecular mechanisms of how EMFs from cellphones and wireless technologies damage plants, animals and humans.2,3,4,5 Many studies have shown that when you’re exposed to EMFs, intracellular calcium increases. Pall also discovered a number of studies showing that you can block or greatly reduce the effects of EMFs using calcium channel blockers — medication commonly prescribed to patients with heart disease. This turns out to be a crucial point, because it’s the excess calcium in the cell and the increased calcium signaling that are responsible for a vast majority of the biological effects of EMFs. When there’s excess calcium in the cell, it increases levels of both nitric oxide (NO) and superoxide. While NO has many beneficial health effects, massively excessive NO reacts with superoxide, forming peroxynitrite, which is an extremely potent oxidant stressor. So, EMFs are not “cooking” your cells. It’s not a thermal influence. Rather, the radiation activates the VGCCs in the outer cell membrane, which triggers a chain reaction of devastating events that, ultimately, decimates your mitochondrial function and causes severe cellular damage and DNA breaks. It also decimates your cell membranes and cellular proteins. In a nutshell, it dramatically accelerates the aging process. So, which tissues have the highest concentration of VGCC’s? Your brain, the pacemaker of your heart, your nervous system, retina and male testes. Indeed, studies dating back to the 1950s and ’60s show the nervous system is the organ that is most sensitive to EMFs. Some of these studies show massive changes in the structure of neurons, including cell death and synaptic dysfunction. Many who suffer these conditions are on dangerous drugs. If you have any kind of heart or brain-related condition, you really need to take EMF exposure seriously, and take steps to remediate it. There’s simply no question about it — EMF exposure can trigger these and many other conditions. The drug is not treating the cause of the problem, and if you truly want to get well, you need to address the causes. EMFs may not be the sole contributor, but it’s a significant one that should not be overlooked. Wi-Fi equipped laptop computers have also been linked to decreased sperm motility and an increase in sperm DNA fragmentation after just four hours of use.9 In regard to breast cancer, the most common location for breast cancer is the upper, outer quadrant. When the cancer is located in the upper, inner quadrant, it’s more likely to be related to cellphone radiation (if you’ve been carrying your phone in your bra). When I travel, I’ll check the room in which I’m staying to determine the best side of the bed to sleep on. I’ve found there can be a tenfold difference between one side of the bed and the other. The Trifield meter is quite popular, but it’s important to realize that Trifield meters are only good for screening for magnetic fields. Although they measure microwave radiation, they can be very inaccurate and should not be used for that purpose. Nutritional intervention can also help reduce the harmful effects of EMFs. It’s not a permanent solution you can use in lieu of remediation, but it can be helpful while you’re implementing more permanent solutions. The first is magnesium, as magnesium is a natural calcium channel blocker. Many are deficient in magnesium to start with, and I believe many may benefit from as much as 1 to 2 grams of magnesium per day. Your body actually makes hydrogen gas, about 10 liters a day, which benefits your body. However, when you have a steady state of exposure, you don’t get the other benefits, so you want to pulse it. That’s where you get the benefit. I’ve taken molecular hydrogen tablets on my last few flights, and it worked great. There are a number of different ways to get it, but the most practical way is to take molecular hydrogen tablets. Once you’re at about 5,000 to 10,000 feet, put the tablet in a small bottle of lukewarm water. Put the cap back on and leave it on while the tablet dissolves to prevent the gas from escaping. Once dissolved, drink it as quickly as possible. The hydrogen gas will continue working for about two hours, so if you’re on a longer flight, you may want to do a second dose halfway through. When you expose cells to EMFs, there’s increased intercellular calcium. You also get increases in calcium signaling, which is important as well, in terms of explaining the damage EMFs cause. For the past 25 years, the industry has claimed that non-ionizing radiation is harmless and that the only radiation worth worrying about is ionizing radiation. Pall’s research unequivocally proves that this assumption is false. “Because of the structure of the voltage sensor and its location in the plasma membrane, one can predict from basic physics that it’s extraordinarily sensitive to the electrical forces from EMFs,” Pall notes. On average, these forces are approximately 7.2 million times stronger on the voltage sensor than they are on singly charged electrical groups in the aqueous (watery) part of the cell. What this means is that current safety standards are off by a factor of about 7 million. That’s how these very weak EMFs, which industry claims can’t possibly cause you any harm, are actually taking you out prematurely. They work by activating VGCCs. This turns out to be absolutely critical, because when there’s excess calcium in the cell, a number of things happen. Not only do you get excess calcium signaling, you also get increased nitric oxide (NO). 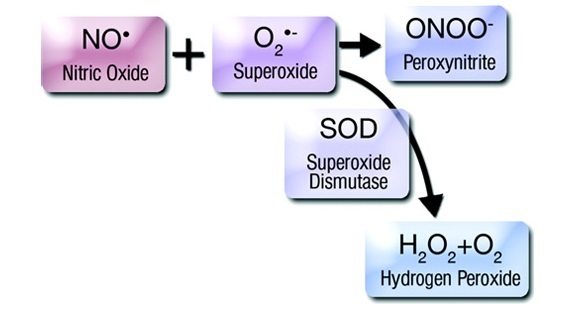 While NO has many beneficial health effects, massively excessive NO reacts with superoxide. “You get both, because you get hydroxyl radicals and carbonate radicals and NO2 radicals,” Pall explains. All three do damage. According to Pall, most of the damage is likely done by excessive free radicals, but some damage is caused directly by the peroxynitrites. The end result is rather massive harm, as excessive oxidative stress and nitrosative stress are involved in nearly all chronic disease. Much of the pathophysiology also has to do with the excessive calcium signaling, independently of peroxynitrite. It’s important to realize that not all oxidative stress is harmful. There’s a certain baseline of free radicals that’s biologically useful and necessary. NO, for example, is a free radical, yet it has many very beneficial effects. The problem is excessive oxidative stress. Interestingly, Pall notes that the NO signaling pathway and the peroxynitrite pathways inhibit each other, which I never previously knew. This provides support for the new nitric oxide dump exercise to decrease damage from EMFs. 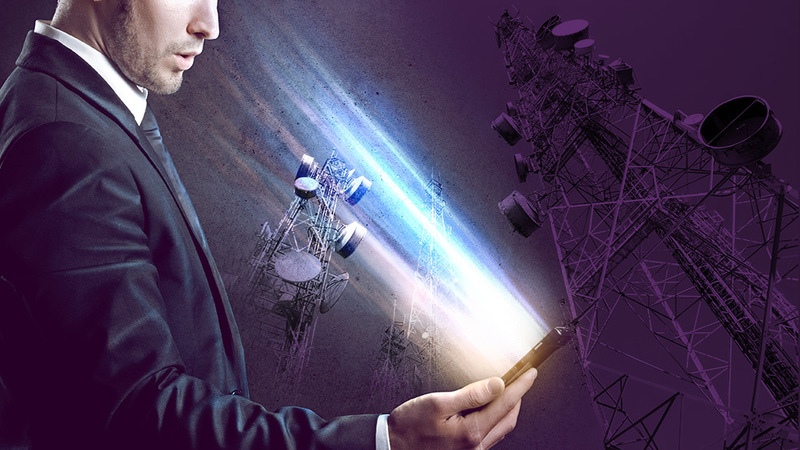 Many are unaware that the telecommunications industry is perhaps more well-funded than the pharmaceutical industry, and just as powerful politically. Their lobbyists are very effective in disseminating and protecting the industry’s version of the truth. Needless to say, the industry will also actively discredit research that demonstrates harm and/or defund research projects that start to reveal problems. [I]t’s actually shocking to say there are only two countries in the world that are doing a lot of research in this, well beyond their normal scope … Turkey and Iran … they’re doing quite a bit of good research in both of those countries on EMFs … What I’ve been doing is I’ve been doing it on my own. I’ve been contributing my time to it and my efforts and, at least to a small extent, some money to it. But it doesn’t cost that much, so I can do it. In addition, they prevented the public from protecting their health with regard to their exposures from the cellphone towers. We cannot sue to prevent cellphone towers from being put near our workplace or homes. Basically, what the Congress did was to say our health makes no difference … So, we’re in extremely deep trouble,” Pall says. And this brings us to the crux of the problem, namely the physical locations where VGCCs are the densest, and the subsequent diseases you can expect from chronic excessive exposure to EMFs. The highest density of VGCCs are found in your nervous system and, indeed, studies dating back to the 1950s and ’60s show the nervous system is the organ that is most sensitive to EMFs. “I reviewed a [large number] of studies on various kinds of EMF exposures, each of them showing neuropsychiatric effects. What you find is that these effects have been repeated many times in these epidemiological studies. It’s the same thing that everybody’s complaining about, ‘I’m tired all the time,’ ‘I can’t sleep,’ ‘I can’t concentrate,’ ‘I’m depressed,’ ‘I’m anxious all the time,’ ‘My memory doesn’t work well anymore.’ All the things everybody’s complaining about. We know all those things are caused by EMF exposures. There’s no doubt about that. Because we know their effects on the brain, we know that the VGCCs’ excessive activity can produce various neuropsychiatric problems. “They took young pairs of mice, one male and female. They put them in a little cage on the ground outside in an antenna park … The [radiation] levels at the ground were well within our current safety guidelines … They put them in two different locations, one with a higher level of exposure and one with a lower level of exposure. Brain cancer is another possibility from extended cellphone use if you keep the phone to your ear. That said, emphasizing the cancer risk is likely counterproductive, as most people use cellphones and those who develop brain cancer are few and far in between. The problem is brain cancer has a latency period of a decade or more. Arrhythmias, autism, anxiety and Alzheimer’s, on the other hand, are extremely prevalent these days, and we now have a mechanism that explains how EMF contributes to all of them. So, even though two U.S. senators likely got brain cancer from cell phones (Ted Kennedy and John McCain), it’s important to understand that cellphone dangers are not just about brain cancer. It’s all these other problems as well, including infertility. “In my judgment, cancer is down around No. 4 or No. 5 on the list of my concerns. It’s not that cancer is not important. It’s very important. We’re just looking right now at the early stages because of long latencies,” Pall says. There’s extensive evidence showing pulsed EMFs are far more damaging than continuous wave EMFs. That’s important for a number of reasons, including the fact that all wireless communication devices communicate by pulsations. In another paper, the group showed that when you use pulsations designed to be similar to the pulsation from a real cellphone, damage occurred at far lower intensities. “This raises the question, ‘How can this possibly happen?’ I think the answer comes from the kind of diagram I’ve published, which is how EMFs produce free radicals,” Pall says. “Both ionizing radiation and the microwave frequency EMFs produce DNA damage through free radicals. They’re similar in that way. Where you get the free radicals is through the peroxynitriate pathway. “That was published by Arthur Compton. He got the Nobel Prize for it in 1927. The way in which ionizing radiation works, it basically gets molecules and atoms and knocks electrons out, and then you get pairs of free radicals generated. That’s called Compton scattering. A simple remedy is to turn off your Wi-Fi each night. That’s just unnecessary exposure. Not carrying your cellphone on your body, and not using your laptop directly on your lap are other simple measures. You can get cellphone pouches that are shielded on one side, so putting that side toward your body gives you some protection. Use your cellphone with a headset or on speaker phone. Work toward hardwiring your devices so you don’t have to be in a Wi-Fi field and don’t get unnecessary radiation from cordless mice, keyboards and printers. It is also possible to put up shielding in your house or apartment to lower exposures. “It is clear that when you’re deficient in magnesium, you get excessive activity of the VGCCs. You also get excessive calcium influx through the N-methyl-D-aspartate receptor, caused by magnesium deficiency, which is also problematic, so it’s important to allay that deficiency. “One of the things I argued in that paper is that the two most helpful diets known — the traditional Mediterranean diet and the traditional Okinawan diet — are both high in nutrients that raise Nrf2,” Pall adds. I personally believe EMF exposure may be one of the most significant factors for the observed decrease in male sperm count, and the increased prevalence of anxiety, depression, autism and Alzheimer’s. It is also highly likely a contributing factor to cancer. Again, the damage is not done through heat or ionizing radiation; it’s done by activating your VGCCs, thereby triggering a chain-reaction that produces excessive amounts of ROS, peroxynitrites and hydroxyl free radicals — the most destructive free radicals known to man, as well as through excessive calcium signaling. What this research tells us is that excessive microwave exposure can be a direct contributor to conditions such as Alzheimer’s, anxiety, depression, autism, cardiac arrhythmias and infertility.13 So, if you care about your heart, brain and reproductive health, avoid carrying your cellphone in your pocket or on your hip, avoid using portable computers and tablets on your lap and take measures to limit or eliminate as many unnecessary EMF sources as you can, in your home and at work.